You won’t see segments about it on the nightly news or read about it on the front page of America’s newspapers, but the Pentagon is fighting a new shadow war in Africa, helping to destabilize whole countries and preparing the ground for future blowback. Behind closed doors, U.S. officers now claim that “Africa is the battlefield of tomorrow, today." 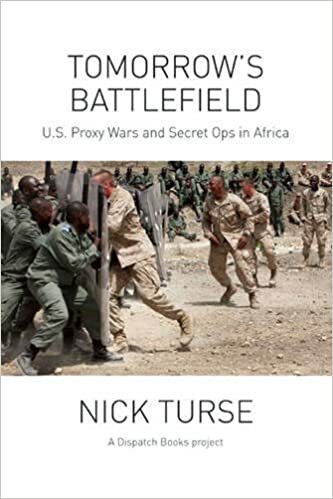 In Tomorrow’s Battlefield, award-winning journalist and bestselling author Nick Turse exposes the shocking true story of the U.S. military’s spreading secret wars in Africa. Bulgarian portion of the training. US Army Africa document details four-phase plan for US training of Libyan forces. A timeline produced by US Army Africa as part of a December 2013 briefing indicated that the Novo Selo site would be ready for trainers by March 2014, but in April General Rodriguez pointed out at a Pentagon press briefing that the Libyan government had yet to ante up the funds for the program, and a Libyan official confirmed to TomDispatch that the training had yet to commence.